For me, a southern gal, letting go of my childhood favorites – which all are slathered in soy, gluten and every other “hashi-no-no” – was the hardest part. Food for me symbolized family and holidays and the best parts of life. I know this seems exaggerated but think about it – no pizza, no BLT, no breakfast pancakes or waffles, no chicken fried steak, no pb & j sandwiches. It’s sad letting go. But you have to make a choice, do I feed my disease every time I eat or give my body needed nutrition? To cushion that blow, I lost all modern conveniences. No quick TV dinners, no more eating out, no fast food. If you go into your kitchen, turn any box of prepackaged ingredients over and become astounded at the amount of added I-can’t-even-say-that ingredients. Although now looking back I realize how jam packed with junk all of that was, I still had to relearn my way around the kitchen (which I’ll admit was all learned from my southern mess pot grandmothers who put a stick of butter and half a block of cheese in everything). Knowledge was essential during this process. And I’ll admit, after 5 months and getting past the essential grief and acceptance periods in diagnosis, I’m still BEYOND a newbie and know so little. To still achieve the rich flavor of my southern favorites, I learned to aggressively spice. I learned new spices and retrained my tastebuds. 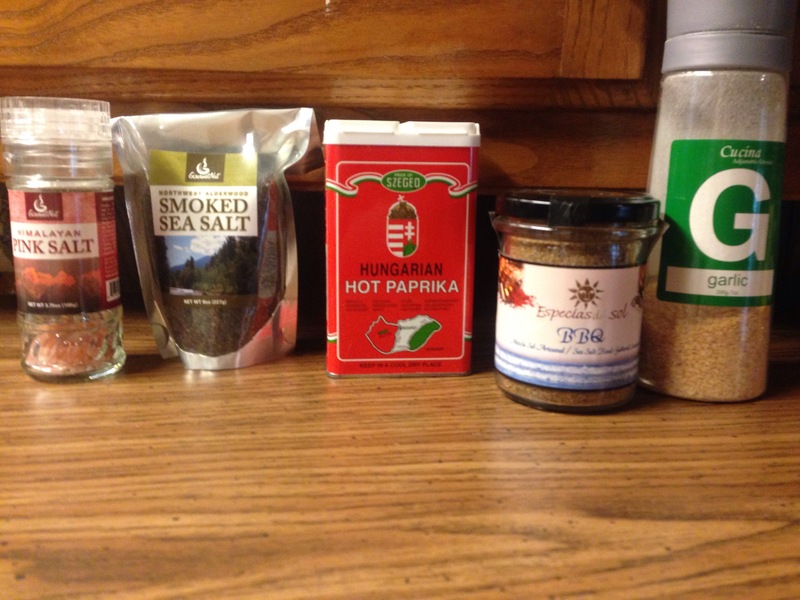 These are some of my favorite spices that are used weekly in my meal prep madness. Himalayan Pink Salt – an essential, I use as a replacement to table salt for its rich nutrient value. http://www.especiasdelsol.com – offers amazing blends I’m wanting to try, including the BBQ spice pictured. I caught this jar on sale at home goods and use it in my bone broth for dimension. GARLIC, GARLIC and more garlic. 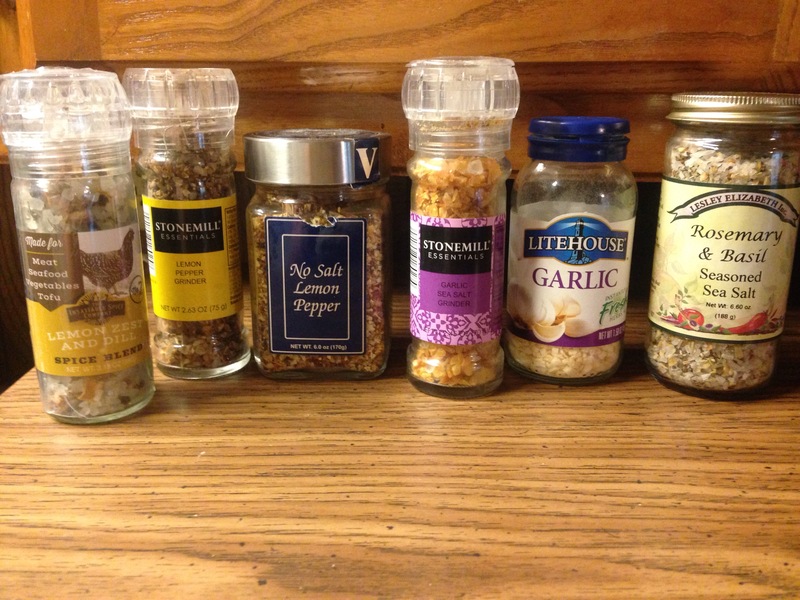 Delicious fresh ground garlic, garlic salt, garlic pepper… Garlic is my favorite. It also helps brain function and candida or yeast overgrowth. http://www.insatiablespice.com – lemon zest and dill. ONE OF MY ABSOLUTE FAVORITES. I hated seafood before this spice. http://lesleyelizabeth.com – the most amazing rosemary sea salt is the perfect addition to homemade paleo bread and ‘cloud’ bread. They also carry DELICIOUS blends of balsalmic vinegar. Spice Hunter’s citrus pepper pairs perfect with lemon juice marinated chicken. 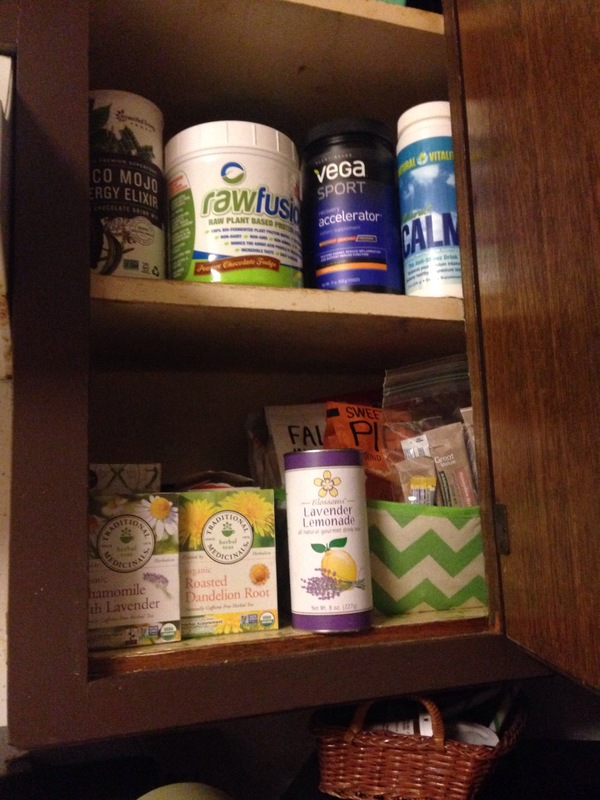 For me, stress and disorganization is a trigger to my condition so I always try and keep my cabinets in shape. Note: mrs. Dash is not AIP friendly because of cumin which is a seed. I’ve never been a big meat eater. Pre-diagnosis I was an ethical vegetarian for five years. Hah. Now I’m a full blown cave woman. These are my essentials for making th perfect protein bite snacks and ice cream. (I also have strong swelling and adrenal fatigue and have been using Vega accelerator and magnesium mixed in water an hour or so before bed and warm lemon water and collagen supplement in the AM). Most of these can be found at your local health food store or on Amazon. 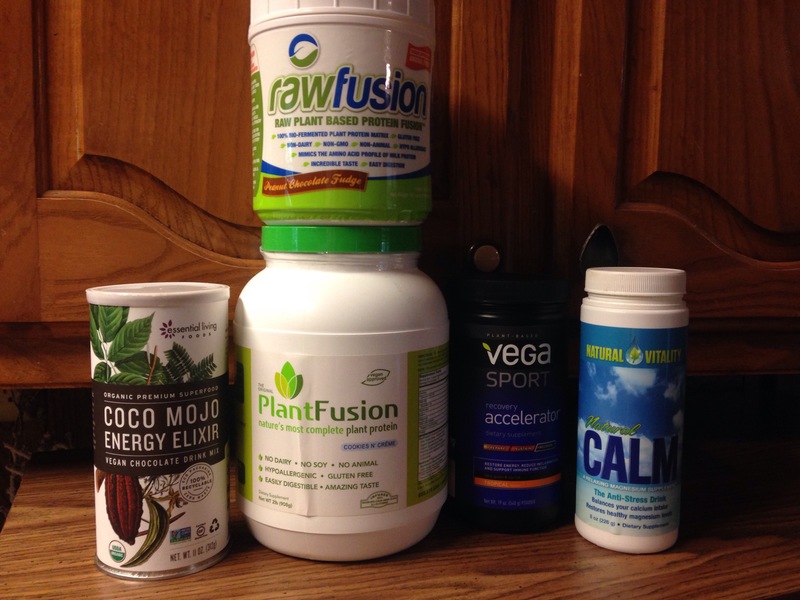 Raw Fusion is not advertised as soy free so I use in extreme moderation. 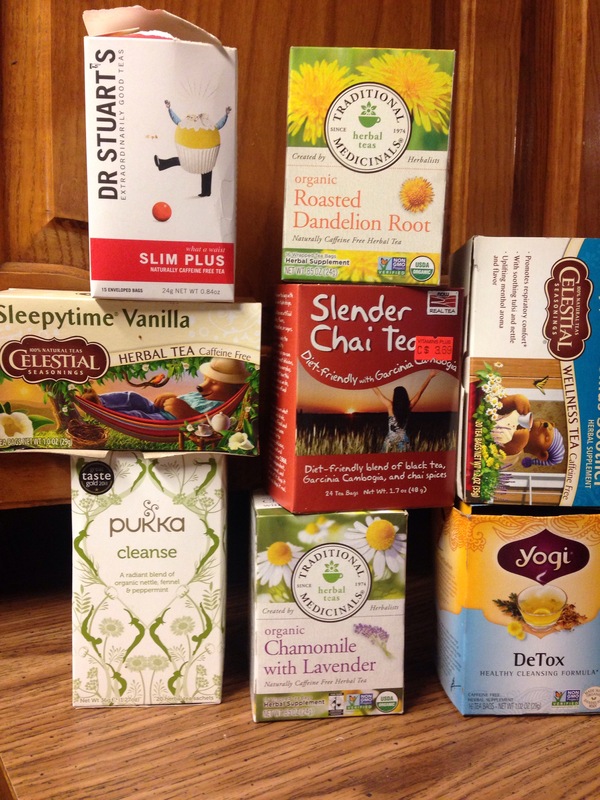 I’m not sure if I could make it without my tea collection. DeTox starts a great cleansing morning and on a stressful day lavender lemonade is essential to ward off those terrible anxious feelings. 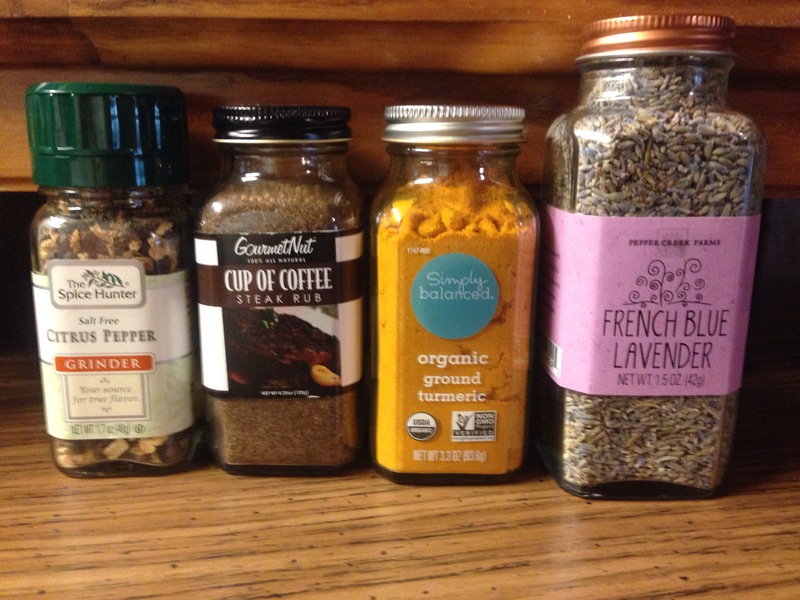 What are your favorite spices and teas? 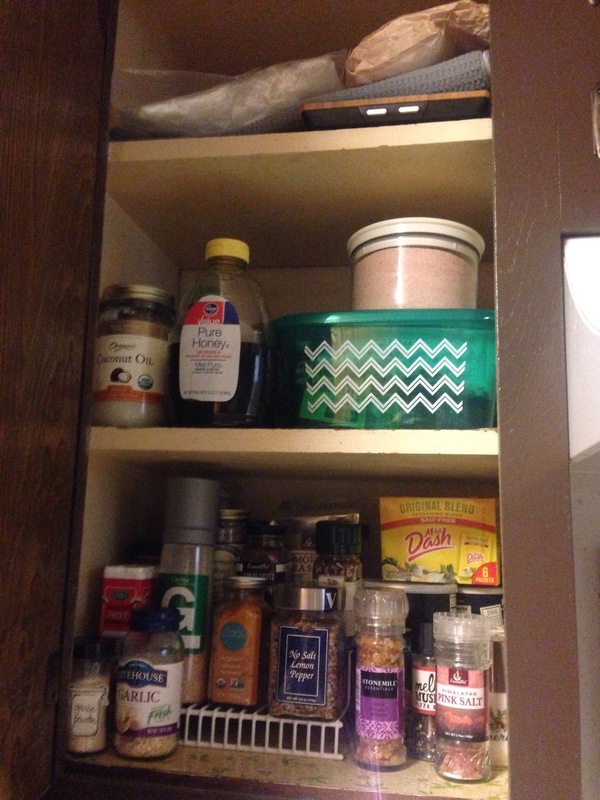 What can’t your paleo kitchen live without? Well…I love turmeric and as of last week my local grocer started carrying the fresh root! Ginger and garlic will now be my go-to “I like it hot” companions. I’m going to have to try that! It amazes me how much my tastebuds have changed since finishing AIP into reintroductions. It’s how I get through it! Cause believe me, I miss cake and pizza!